Newt Gingrich’s words to a friendly audience in his political home last Friday has gotten a lot of press, with several people claiming that he was evoking “welfare queens” racism of the 1960’s and 1970’s with his carefully chosen words. After all, if there’s one thing this professorial politico is famous for, it’s carefully chosen language phrased to evoke a predictable response. Here, though, it wasn’t the racial overtones of class and poverty he was trying to remind people of with his statement. Back in October, 2010, Gingrich tried to get Republicans running for Congress to use the rise in Supplemental Nutrition Assistance Program/food stamp enrollments as a “closing argument” to voters going to the polls last November. Republicans had a “closing argument for candidates seeking to unseat the left-wing, big spending, job killing Democrats: paychecks versus food stamps,” he advised his candidates from his party, in a memo dated October 5, 2010, according to several media reports (including CBS and Fox News). “It’s perfectly fair to say they are earning the title of the party of food stamps,” he declared. Only it’s not perfectly true – not then, and certainly, not now. While it is true that the number of Americans on food stamps has spiked significantly since the economy tanked three years ago, it is also true that unemployment numbers have swelled as well. 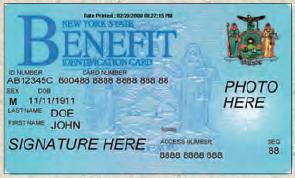 Those who are unemployed, or under-employed, are using the food stamp program in record numbers. So while food stamp enrollment is up, it’s because of the economy, and not directly attributable to the Democrats: not Nancy Pelosi, not Harry Reid and certainly not President Obama. The NY Times article was written when the Democrats were still trying to choose a candidate in the last presidential election. Gingrich, in his ego-driven enthusiasm, has resurrected an idea he had from last year’s midterms, repeating the argument “food stamps versus paychecks,” almost word-for-word. And why not? After all they’re words from someone he loves.